Gail M. Neubert, 75, Detroit Lakes, MN, died peacefully in her sleep Sunday, November 25 at her residence in Detroit Lakes. Funeral Services for Gail will be held Saturday, December 1 at 10AM in David Donehower Funeral Home of Detroit Lakes. Visitation will be held one hour prior. Interment will be held in Scambler Cemetery, rural Detroit Lakes. 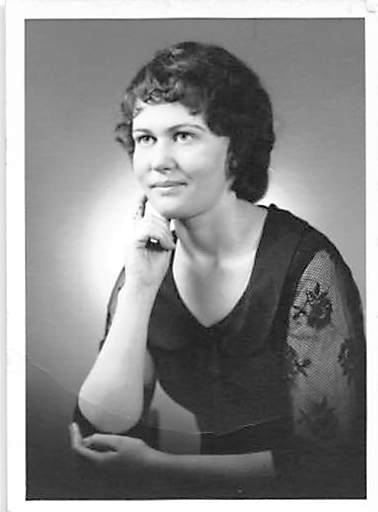 Gail Marie Soland was born November 12, 1943 in Barnesville, MN to Myrten and Ruby (Swanson) Soland. She attended school in Pelican Rapids, MN and after school was united in marriage to Dale Neubert. Gail and Dale resided on a farm south of Pelican Rapids until Dale passed away unexpectedly. Gail moved into town until her health started to decline. She then moved to Detroit Lakes to live with her sister Loretta. Gail enjoyed living on the farm, she loved her animals and enjoyed the outdoors where she tended to her garden but also enjoyed knitting, coloring and puzzles. She loved everything about the holiday season because it always meant a little bit of shopping and a lot of family time, she especially enjoyed visiting with her nieces and nephews. Gail was a giving person and had a heart of gold. She will be missed by her entire family. Gail is survived by her two sisters and three brothers: Bonnie (Ron) Littlefield of Detroit Lakes, Loretta Hartman of Detroit Lakes, Dan (Kathy) Soland of Ft. Worth, TX, Doug (Ginny) Soland of Fargo, and Dave (Deb) Soland of Moorhead. In addition she is survived by many nieces and nephews. She is preceded in death by her father Myrten Soland, her mother Ruby Eggermont, one sister: Karen Jorgenson, one brother: Donald Soland and brothers-in-law: Jack Hartman and Jim Jorgenson along with great-nephews: Jeremy Littlefield and Shane Ambuel.